This ruling relates to a CRN in an insurance claim by Evergreen Lakes HOA (“Evergreen”) after its property was damaged by Hurricane Wilma in 2005. Evergreen was dissatisfied with Lloyds’ handling of its claim, and drafted the CRN on the statutory form in July of 2006, mailed a copy of the CRN to DFS, and claimed it mailed a copy to Lloyds at that insurer’s address reflected in the DFS database. DFS accepted the CRN on August 15, 2006 and sent notice to Lloyds stating “the sixty (60) day time period as required by Florida Statutes 624.155(3)(a) began to run as of the date of acceptance.” Lloyds responded to the CRN within the sixty (60) day time period, challenging the sufficiency of the CRN. However, it did not contest the service of the CRN on it by DFS, nor challenge the DFS acceptance date of August 15, 2006. Nearly four years later, Evergreen Lakes brought suit against Lloyds alleging statutory bad faith. The bad faith litigation was abated for several more years pending resolution of the underlying breach of contract action, but eventually resumed in 2013. Discovery in the bad faith action revealed Evergreen may not have sent the CRN to the correct address for Lloyds. However, discovery also revealed that, Lloyds’ counsel received the CRN at least by October 2, 2016. Lloyds moved for summary judgment on the contention that Evergreen could not prove that Lloyds received the CRN on or before the date DFS accepted it, so Evergreen Lake’s bad faith claim was precluded. The trial court agreed and granted Lloyds motion for summary judgment. The Fourth District Court of Appeals in Evergreen Lakes tracked the origin of Florida’s Civil Remedy statute, F.S. §624.155, and its pre-suit notice requirements, noting that back in 2006, the statute did not include any guidance as to how a CRN must be delivered to an insurer. However, the statute did clarify that the CRN is meant to serve as an opportunity for an insurer to cure the alleged violation, and thereby avoid civil litigation. The Evergreen court noted there no dispute that both DFS and Lloyds received a copy of the CRN on the statutory form at least 60 days before Evergreen filed its bad faith suit; and that Lloyds had almost four years to cure the alleged violation before the bad faith action proceeded. Lloyds argued entitlement to summary judgment as it did not have the benefit of the full 60 day cure period due to the mailing error. We note that the events in Evergreen Lakes all took place prior to 2009 and enactment of Fla. Admin. Code R. 69J-123.002. Since that rule was enacted, all CRN’s must be electronically submitted to the DFS website. This rule not only clarified the definition of the term “given” in the 2006 version of Florida Statute §624.155, but addressed the issues of the insurer’s response to the CRN and any communication between the parties after the CRN has been filed. In the recent holding in Ifergane v. Citizens Property Insurance Corp. 2017 Fla.App. LEXIS 14745, (3d DCA Oct. 18, 2017), the Third District Court of Appeal adopted a prior ruling by the Second District Court of Appeal finding that an insurer that denies coverage thereafter has waived its right to request an insured submit to examination under oath. In Ifergane, the insured’s husband filed a claim, which the insurer responded to and initially determined that any loss or damage to the property fell below the policy deductible. The insured assigned her claim to her former husband who requested the claim be reopened and reconsidered, and Citizens eventually determined that certain damage amounts existed over the deductible, and paid those amounts. By separate letter, however, Citizens explained why certain claimed damage or repairs were not covered, asserting that “By stating the above reason or denial, … does not intend to waive any other rights.” The insured’s husband subsequently demanded appraisal, and Citizens requested the insured submit to examination under oath. The insured, Ifergane, never complied, resulting in a summary judgment in favor of Citizens. The appellate court reversed the trial court summary judgment, holding that there was a reasonable inference that the insurer’s letter constituted a denial letter and should have read “By stating the above reason [f]or denial . . .”. The Ifergane Court reasoned that, if the letter was in fact a coverage denial, then Citizens had waived any right it may have had to enforce the contractual post-loss conditions, including compelling the insured to submit to examination under oath. If the letter was not a denial, but merely a request for further information, then the insurer did not waive its rights and the insured’s failure to comply precluded coverage. The Court accordingly remanded the case to the trial court for further proceedings on that issue. In pending actions before them, both Honorable Jennifer Bailey and Honorable Antonio Marin of the Miami-Dade Circuit Courts recently granted Summary Judgment in favor of United Property & Casualty Insurance Company in separate actions. Both rulings in favor of the insurer were based on the insured’s failure to participate in mediation or appraisal prior to bringing suit. The insured filed two lawsuits against United through the Strems Law Firm for two separate claims. In both claims, the insured failed to either invoke the mediation or appraisal provisions of the policy, despite a clear contractual post-loss condition in the insurance policy mandating that “[m]ediation or [a]ppraisal is required as a prerequisite before an Insured can file suit related to Section I of this policy regarding the amount of loss.” At no time prior to the filing of the lawsuit did the insured participate in mediation or appraisal. Lucas Austin in the Tampa Office of Groelle & Salmon filed the motions for summary judgment in both lawsuits based upon Plaintiff’s total failure to comply with those contractual post-loss duties under the policy before filing or serving the lawsuits on United Property & Casualty. Attorney Bethany Ruiz of Groelle & Salmon’s Miami Office argued the motions at hearing, asserting that participation in mediation or appraisal was a clear and unambiguous post-loss condition precedent to filing suit under the policy. At the separate hearings on those motions, both Judges agreed that mediation or appraisal was a condition precedent to filing suit against the insurer. In Podolsky v. Federal National Insurance Co. 25 Fla. L. Weekly 530a, the 15th Judicial Circuit Court in Palm Beach County (in the 4th District) granted summary judgment in favor of the defendant insurer on a finding that the plaintiffs’ public adjuster was not a “competent and impartial” appraiser within the meaning of the appraisal provision of the insurance policy. In Podolsky, the insurer invoked appraisal to resolve the disputed amount of loss, and called specific attention to the appraisal clause requirement in the insurance policy that the parties each appoint a competent and impartial appraiser within 20 days of appraisal being invoked. The terms "competent" and "impartial" were not expressly defined in the policy. The insureds named their public adjuster as their appraiser. The insurer objected, asserting the public adjuster could not act as an ‘impartial’ appraiser given his direct financial interest in the outcome of the appraisal, and requested that they select a different, and impartial, appraiser. When the insureds declined to respond to that request, the insurer denied the claim for noncompliance. [Note that the appraisal clause is in the post loss Conditions of the insurance policy.] A lawsuit was then filed by the insured Plaintiffs. Prior to Podolsky, both the Third District Court of Appeal and the Fifth District Court of Appeal had previously analyzed similar appraisal clause language ("competent and disinterested"), but had reached different conclusions and holdings. As there was no guidance in the Fourth District of Appeal on that clause, the Podolsky Court relied on secondary sources for its ruling. Thus, looking to Black's Law Dictionary for the meaning of "impartial" under the policy, the Podolsky Court looked at the definitions for both “impartial” and “disinterested” and, applying there normal usage and meaning, held that a public adjuster whose fee is based on the total amount of the loss to be determined in appraisal, has an interest in the amount of the loss, and therefore cannot be considered impartial in the appraisal process. In Ronald Garcia v. United Property & Casualty Ins. Co, Administrative Judge, Jennifer Bailey, in Miami-Dade, granted United’s Motion for summary judgment, finding that participation in mediation or appraisal was a condition precedent to filing suit under the policy, and Plaintiff’s failure to comply with these provisions constituted a material breach of the policy, rendering Plaintiff’s breach of contract lawsuit invalid as a matter of law. The insured submitted a claim for alleged water damage that was said to have occurred on December 1, 2015, for which United determined that the covered damage to the property totaled $6,674.94. In April 2016, Plaintiff acknowledged receipt of the payment and demanded additional payment. On June 21, 2016, United advised the Plaintiff in writing that it was demanding mediation pursuant to the policy of insurance, which mandates that “[m]ediation or Appraisal is required as a prerequisite before an Insured can file suit related to Section I of this policy regarding the amount of loss.” At no time prior to the filing (and service) of the instant lawsuit did the Plaintiff participate in mediation or appraisal. Partner, Lucas Austin, in Groelle & Salmon’s Tampa Office, filed a motion for summary judgment based upon Plaintiff’s total failure to comply with his duties under the Policy by failing to participate in mediation or appraisal prior to filing and serving suit on United. In response to Plaintiff’s Motion for Summary Judgment, Plaintiff’s counsel filed a copy of an Order denying summary judgment for the insurer in the Serrano v. American Traditions in the Highlands County Circuit Court. In the Serrano matter, the Court was not convinced that the language relied on in the Policy made mediation a condition precedent. Associate, Bethany Ruiz in Groelle & Salmon’s Miami Office, presented the Motion at hearing, and took the position that participation in mediation or appraisal was a condition precedent to filing suit under the policy and the language was clear and specifically states that either mediation or appraisal must take place before suit can be filed. Plaintiff’s counsel attempted to argue that the language in the Policy requiring participation in mediation or appraisal prior to filing suit was ambiguous, but Judge Jennifer Bailey flatly rejected this contention and agreed that the mediation provision was clear and enforceable, as the policy provides, in two separate provisions, that mediation or appraisal is a prerequisite to filing suit. Plaintiff’s counsel also tried to argue that because Plaintiff filed suit on June 6, 2016 (before United sent their correspondence on June 21, 2017), and the Plaintiff should not have to wait for United to act before he can pursue litigation. In response, it was brought to Judge’s attention that this provision was brought to the insured’s attention on more than one occasion – when payment was sent and when United demanded appraisal – and the policy allows for either party to demand mediation. Judge Bailey agreed and maintained the position that mediation or appraisal was to be completed prior to suit being filed, and agreed that despite filing suit before the letter, Plaintiff served United after it received the demand for mediation (which did not further Plaintiff’s position). The Court granted United’s motion for final summary judgment, and Plaintiff filed a Motion for Rehearing., which is currently pending. Attorney Spotlight - Andrea Zigelsky! Andrea Zigelsky joined Groelle & Salmon in 2013 as a senior associate attorney and, although she does handle some first party litigation, primarily focuses her practice on defense of personal injury liability claims, and handles matters involving medical malpractice, premises liability, general negligence defense, and liability coverage issues. 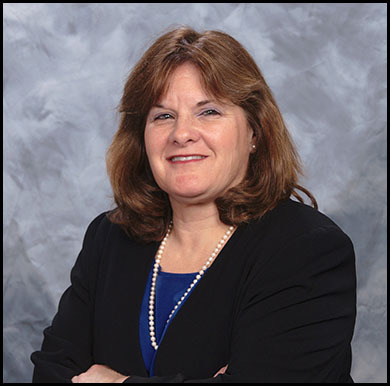 Andrea earned her Bachelors of Science in Nursing in 1985, Masters in Science of Nursing in1993 and her Juris Doctorate in 2004, with a Health Law concentration. In law school, she competed at several levels of Moot Court competitions, including national competitions. Andrea has over 20 years actual nursing experience in critical care services, including ICU, administration/management, trauma services, open heart service, post-surgical recovery services, and general medical-surgical services, on which she relies to effectively evaluate claimed injuries and medical malpractice issues in her defense practice. She has served as a guest lecturer for various groups on topics ranging from damages analysis to medical malpractice. Andrea is licensed to practice in all Florida state courts as is admitted in the Middle and Southern District courts of Florida. Based in Groelle & Salmon’s Vero Beach office, Andrea is originally from New York but has called South Florida home for more than 40 years, almost qualifying her as a native Floridian. She is an avid hiker and Florida sports fan, and enjoys most outdoor activities. She is also active in her community, volunteering with local food banks and outreach programs in Ft. Pierce and Port St. Lucie when she is not spending time with her three grown children or her dog, Mika. Andrea is always anxious to hear from our clients, and invites your general questions in her areas of practice. Please do not hesitate to give her a call with issues she can assist you with, or just to introduce yourself and say ‘hello’!